Premium Dental Turkey offers premium quality dental treatments at affordable prices in Turkey. Every year we provide beautiful smiles and a stunning holiday for our patients all over the world. Here at Premium Dental Turkey, we are dedicated to excellence in dentistry and customer service. Whether you are planning on a dental treatment to straighten misaligned teeth, close the gaps between your teeth, redesign your smile or replace teeth which are missing, our experienced Dental Team, Patient Coordinators and Travel Agents are with you through all process to ensure you get the best dental travel experience. We offer our patients most advanced technology dental products and dental services at international health standards. Our dentists in Turkey are experienced and they are specialised in areas of cosmetic dentistry and oral surgery. We offer dental treatments in Turkey like Dental Implants, Dental Veneers, Dental Crowns, Smile Makeover, All on 4 Procedure and Professional Teeth Whitening with Laser. The dental products we use are worldwide known brands and we have an extended guarantee for all the dental procedures. Our maximum hygiene and sterilisation protocols are approved by Turkish Dental Association. Our Dental Clinic is located in Antalya - the dental tourism capital of Europe. As the fourth most visited city in the world, Antalya is the pearl of Mediterranean and offers you a peerless holiday experience with 200 blue flag beaches, exquisite Turkish cuisine, sea view hotels, historical places within the city, nightlife and 9 months sunshine. You can always find direct flight tickets from all European countries, United States of America or Australia to Antalya all seasons. 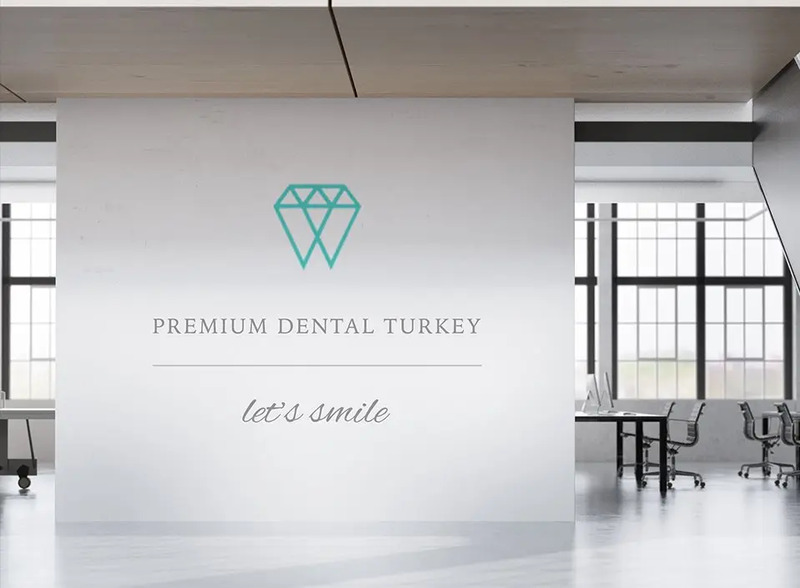 All you should do is Get Free Quote for your planned dental treatment and Premium Dental Turkey will handle the rest to provide you with the best possible dental care you deserve. Premium Dental Turkey is located in Antalya, a hip tourist destination in Turkey’s southwestern coast. Our clinic is located in a well-travelled area close to the many popular attractions. We are situated close to the sea and the clinic has a stunning view of the turquoise waters. Antalya is known for its Blue Flag beaches, luxurious hotels, historical attractions, and hundreds of places to enjoy cuisine from all over the world. At our clinic in Antalya, not only will you receive world-class dental treatments at affordable prices, you can also enjoy a wonderful holiday at the same time. Premium Dental Turkey only offers dental treatments that require general anaesthetics at our clinic in Antalya. We have a highly-qualified dental surgical team including experienced anaesthesiologists at the Antalya clinic. If you need to be sedated for your treatment, you can visit our Antalya clinic for the procedure. You also have the opportunity to choose between local and general anaesthetics for your oral surgical procedures at the Antalya clinic. You can call us to find out more about the dental treatments offered at the Antalya clinic. Why Visit Antalya for Your Dental Treatment? Antalya is a gorgeous tourist destination, but do you really need to fly all the way to Turkey for your dental treatment? Our patients benefit in many ways by travelling to Turkey for dental treatment. Operating a dental facility in tourist-heavy Antalya is much less costly than in other parts of Europe. Therefore, our patients can benefit from top-notch, branded dental treatments at far lower costs than what’s available elsewhere in Europe. Patients from Canada, the U.S., and Australia can also benefit from low-cost treatments without compromising the quality of the procedures. Branded cosmetic dental procedures can cost thousands, if not tens of thousands of dollars, in these countries. We offer far lower operational charges that bring down the overall costs of the treatments. The cost of travelling to Turkey is low when compared to travelling to northern or western Europe. Our dedicated staff can help you find accommodation and book a flight that suits your budget. In addition, when you choose Premium Dental Turkey, you can enjoy a great vacation while you get treatment for your dental issues. If you suffer from dental fear, the distraction of a vacation and the many sightseeing options in Antalya will help distract you from your fear. Our staff can help alleviate dental phobia with tours in Antalya. We have many facilities in our clinic to help you deal with dental fear issues as well. At our Antalya clinic, you can enjoy world-class dental treatments at affordable prices and enjoy a wonderful vacation at the same time. Get in touch with our staff to obtain exact quotes for the treatments you have in mind. Antalya is the largest city on the south-western coast of Turkey. The city has a long history dating back millennia and was once the choice destination of famed ancient travellers like Paul the Apostle and Ibn Battuta. Modern Antalya is a highly diverse and multicultural city. The old city of Antalya, complete with Ottoman-era houses and Roman-era architecture, is surrounded by very modern hotels, highways, and other urban amenities. Antalya’s buzziest area is the coastline, which is dotted with breathtaking beaches flanked by high-end resorts. Though the city is known for its Blue Flag beaches, there is a variety of attractions tourists can enjoy. There are historical sites in the central areas of the city and if you travelled slightly inland, you could trek and hike at jaw-dropping mountain ranges. No matter what your preferences are as a tourist, Antalya has it all. The coastal area near the city is dotted with many beautiful beaches. Perhaps the most famous of these is the Lara Beach, located about 12 km away from the city centre. The Konyaalti Beach lies to the west of the city and is famous for its pebbly sand and the remarkable backdrop of Taurus mountains. If you like splendid landscapes, head towards the Olympos National Park and the Topcam Beach. This area also houses camping grounds. Since Antalya is a tourist town, accommodation can be easily found. You have the choice of staying at beach resorts, golf hotels, budget rooms, cabanas or mountain camps according to your tastes. Tourist accommodation is widely available but has to be booked in advance, especially during the peak tourist months in April. The best place to stay in the city is near the Kaleici old town. You will have quick access to the most famous historical attractions, restaurants, and shopping areas. The old town area is also largely free of vehicles and traffic. The locale with the age-old streets and houses is a sight not to be missed. Furthermore, Kaleici is very tourist-friendly. Kaleici, of course, is not the only place to stay. There are amazing resorts located near popular beaches like Lara. You can choose any accommodation based on your budget and location preferences. Antalya is a major historical city in Turkey, built around the old city of Kaleici. History buffs will certainly feel at home here. Kaleici is a beautiful and atmospheric city with old wooden houses and narrow, winding streets enclosed by city walls built during ancient times. The city’s history dates back to the second century BC when it was founded by the king of Pergamon, Attalus II. The city was occupied during various periods by the Romans and Byzantines, among other groups. Today, you will see grand structures erected by ancient rulers, Greco-Roman architecture, monuments and various other historical buildings in the city. Some of the most popular historical attractions include the Yivli Minare mosque, Karatay Medrese theological university, Seljuk stone carvings, Murat Pasa Mosque, Hadrian’s arched gate, and of course, a famous marina. Attractions are not limited to historical areas. The Antalya Aquarium is a popular attraction in the city, famous for the world’s biggest underwater tunnel. The region surrounding the city has many natural attractions. The city lies near the Bakirli mountain range. You can hike in the area and visit natural wonders like the Düden Waterfalls, which fall right into the ocean. Other natural attractions include the Karain Cave, Güver Canyon, and the Düzlercami wildlife conservation park. If you are a foodie, you will not be disappointed in Antalya. Tucked away among the city’s cobbled streets are restaurants, eateries and cafes. There are also several gems in the old town area. You can enjoy various types of cuisine in addition to traditional Turkish food. Sample the flavours of Indian, Chinese, Italian, French and Japanese food in the restaurants scattered throughout the city. There are plenty of options for both fine dining and cheap eats. The Dönerciler Çarşısı block is known for great budget eateries. This part of town is great for kebabs that won’t break the bank. Atatürk Caddesi is known for many hip cafes in the style of Starbucks. Fine dining restaurants can be found mostly near the old town. Antalya is not short of thrilling activities tourists can participate in. When you are not sunbathing on the beach, you can go on diving or snorkelling expeditions or explore harbours and lagoons by boat. There are amazing extended boat tours available from the Roman Harbour, some of which include lunch stops. You can go by ferry as well. Most beaches host extremely enjoyable watersports such as paragliding, kite surfing, and jet skiing. At the national parks, you will have the chance to go on safaris to experience the wildlife in the area. You can also camp at the open camping grounds. The Bakirli mountain range has many hiking and trekking trails as well. In March and early April, the mountain range still has enough snow to enjoy skiing. In the urban areas of the city, you can enjoy touring museums and water parks. You are in Turkey, so don’t leave without enjoying a memorable Turkish bath. There are plenty of bathhouses in the city for one and your hotel may also offer Turkish baths. The city also has a vibrant nightlife scene. Antalya simply comes alive at night with live music shows and beer garden events. Many tourists go partying at the beach or at trendy restaurants and bars scattered throughout the area. The old town lights up at night, and going drinking at the traditional “meyhanes” traditional taverns is a must. The old town district is also great to shop for souvenirs. Here you will find bazaars very close to something out of history books. The northern part of the old town is famous for sprawling bazaars selling jewellery, textiles, famous Ottoman artwork, and even metalwork. Antalya enjoys nine months of sunshine. The weather is the most pleasant in April, but you can visit at any time of the year. The winters are cool and rainy, and much milder in comparison to the winters in northern and western Europe. The staff at Premium Dental Turkey is dedicated to helping you make travel arrangements when visiting Antalya. Interested patients can get in touch with our patient coordinators in advance to make a travel itinerary step-by-step prior to the visit. We are transparent with our prices and you can request exact rates for accommodation, flights, and treatments. We can help you find suitable flights for your visit to Antalya. We are unable to book the flights on your behalf because we cannot use your credit or debit card information for making third-party payments. However, if you find it difficult to make an online booking for a flight, our staff can walk you through the process. We offer free transportation from the airport to the accommodation of your choice, and also for each appointment at the clinic. Upon arrival, you will be cordially greeted at the airport by a driver affiliated with the clinic. We recommend planning a vacation for at least 5 days in Antalya. The duration of your stay will differ based on the treatment you require. A professional teeth whitening, for example, can be completed in a day. If you come in for dental veneers, we need at least 5 days to tailor-make your individual veneers. If you are coming in for dental implant surgery, you might need to book two trips. The first trip would be for the surgery. Implants require several weeks to heal. You will have to book a second trip in a couple or more months to fit dental bridges or crowns for the implants. We will streamline the procedure as fast as possible so your travel costs are kept to a minimum. But you will have to adhere to the minimal number of required visits to obtain your treatment properly. Feel free to discuss the required duration of your stay with our staff. When you know how long you need to stay, you can proceed with creating your itinerary with the help of our patient coordinators if needed. We recommend setting up a budget. Our staff can help you find accommodation that best suits your budget requirements. Antalya has everything from 5-star spa-like hotels to tourist hostels. You will never be out of options to choose from. Once you are in Antalya, you are free to do as you please in between the appointments. Take a tour of the historical sights or bask in the sun on the beaches. You can engage in any activity you prefer that won’t damage your teeth of course! Premium Dental Turkey does not charge additional fees for travel arrangement. Staff assistance will be provided for free. Get in touch with us for detailed information regarding making travel arrangements. You can refer to our online rates to get a general idea of costs. Please keep in mind that costs will vary depending on individual itinerary requirements. Our patient coordinators can help you with any questions you might have regarding travel or treatment-related costs. Premum Dental Turkey believes in customer service based business model and it goes through fast responses. We provide information regarding your planned dental treatment and related costs in maximum 6 hours. Our Team will be assist your dental travel arrangements including your flight tickets, hotel bookings and transfer services. Our experienced and award winning dental team will provide you the dental treatments to create you a new healthy smile line. Our dentistry standarts are equivelent to other countries as England, Germany. Do not pay your dentists luxury car or yacht to get yourself a healthy and more aesthetic smile. Premium Dental Turkey offers high quality dentisty at affordable prices.